The most recent repaving project at Michigan International Speedway was completed in the fall of 2011, but drivers still struggle to use the full width of the racing surface, particularly the high line. 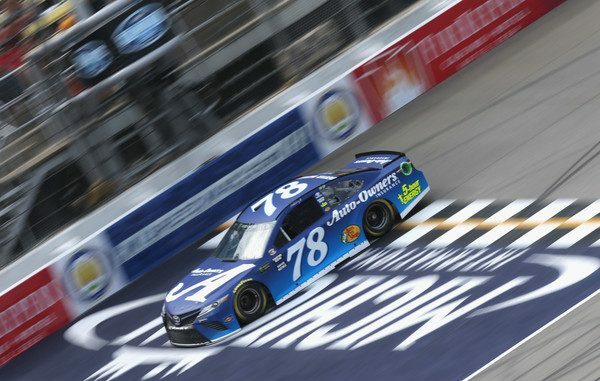 Reigning Monster Energy NASCAR Cup Series champion Martin Truex Jr., last Sunday’s winner at Pocono, hopes that will change when Sunday’s Firekeepers Casino 400 (2 p.m. ET on FOX, MRN and SiriusXM NASCAR Radio) gets under way at the 2-mile track. Goodyear has brought a completely new tire combination for the event, with both left and right-side tires built to provide more wear. Designed to run cooler on a track that tends to generate high temperatures, the right-side tires feature a single-tread compound, as opposed to last year’s multi-zone tread. 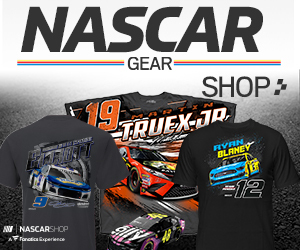 “It’s definitely been a challenge to work the higher grooves here,” Truex told the NASCAR Wire Service. “Because of the way the banking is at this race track, with the bottom groove being the flattest part of the track, you typically don’t run down there throughout the weekend until the race, when you have to have somewhere to go. That doesn’t mean drivers won’t be trying to work in the higher groove. “I think there’s maybe one or two races where a few guys got it working at some point in the race, but typically, it hasn’t been the fastest way to get around here. Hopefully, as it wears, it will continue to move up – continue to give more options.